Bram Stadhouders (dance organ, guitar). 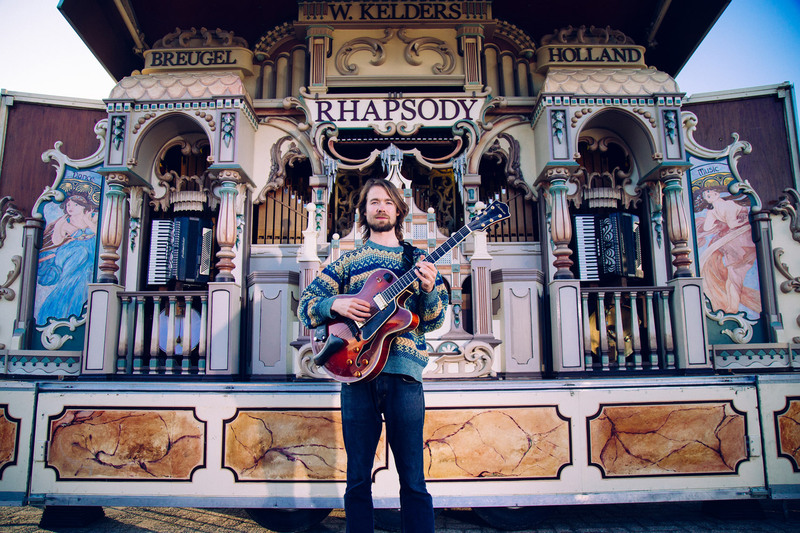 Guitarist Stadhouders plays live on the biggest transportable dance organ (a big barrel organ) in the world, the Rhapsody. This makes for a unique performance, due to which the musician can rightly be called “the first dance organ guitarist ever”. Stadhouders plays the enormous organ via his guitar and laptop, triggering it with MIDI, mixing composition and pure improvisation. The history of the dance organ goes back to 1850, when the first pieces were made. Between 1910 and 1930, they could be found in almost every dancehall, as a predecessor to the jukebox. However, as the loudspeaker made its way into the public, the organs were banned to musea or private collectors. Stadhouders went on an investigation and found the Rhapsody in a silo somewhere in the south of the Netherlands. He discovered that almost all dance organs work with MIDI, which means they can be played with any instrument that can send MIDI. Bram Stadhouders & The Big Barrel Organ is supported by Dutch Funds for the Arts and Prins Bernhard Fonds.